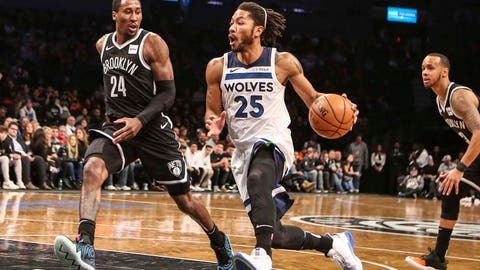 The Minnesota Timberwolves have won their first road game of the 2018-19 season. A @22wiggins trey gets the @Timberwolves started in Brooklyn! SPLASH! We’re back for the second half on @fsnorth.
.@drose dropped 25 points as the @Timberwolves earned their first road win of the season.